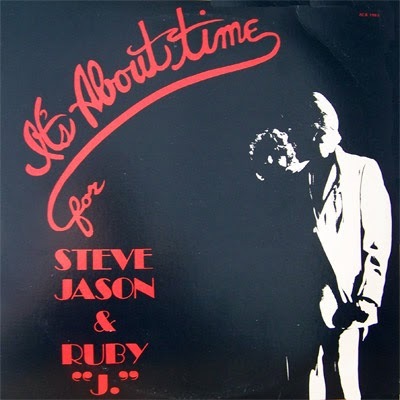 RarePhillySax: Steve Jason & Ruby "J" - It's about time 45"
Steve Jason was a singer and songwriter from Philadelphia. In the late 60's Steve along with the keyboardist, songwriter Ted "Butch" Barbella, the guitarist Dennis Jason, the bassist Norm Conrad and the drummer Jerry Gilbert formed the pop/rock group named Goliath. 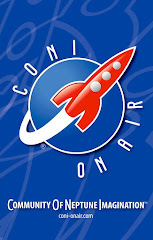 They released an album in 1969 on ABC Records. It was recorded at Sigma Sound Studios, Philadelphia. Steve Jason under the name of Steve D'Mingo co-wrote some songs together with Butch Barbella. Later in the mid 70s, Steve with Jerry Brown and Butch Barbella performed together in a 9 piece original show band called Mazrine Stone, playing showrooms throughout the country. Steve and Butch Barbella continued to collaborate together. So in the early 80s, Steve Jason along with the female singer called Ruby "J" released an album on Atlantic City Records. Her real name is Betsy Jean. She has performed for about 30 years in various bands. She has collaborated with Ernie White and T.J.Tindell. Except for the album, they released a single entitled "It's about time / Yesterday's Children" on the same label. The song "Yesterday's Children" was first written for the self-titled album Goliath in 1969. I have chosen the song "It's about time" which was written by Ted Butch Barbella. Produced by Steve Jason and A.Capobianco. Sadly, I must mention that Steve Jason has passed away. Butch Barbella has formed a band called Streets Of The Bronx Band.